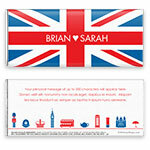 Celebrate in royal style with this very, very British candy wrapper. 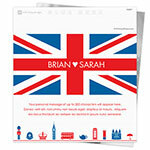 Design: Union Jack with iconic London symbols on the back. Personalization: Front names, back message.